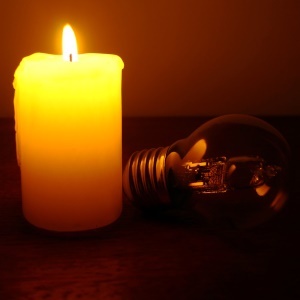 Power utility Eskom says there is a "high risk" of load shedding for Wednesday evening, in particular during the evening peak between 17:00 and 21:00. This is due to a number of power generating units being offline for maintenance, and the possibility they will not be producing electricity in time to meet the evening demand. "We encourage residents and businesses to please use electricity sparingly to ease the demand of electricity. Please switch off geysers as well as all non-essential lighting and electricity appliances to assist in reducing demand," Eskom said in a media statement. Customers are advised to keep checking load shedding schedules on the Eskom or municipal websites, and plan on the assumption that load shedding will take place. There was no need for rotational load shedding over the past weekend. On Monday, Eskom said there was only a low probability of rotational load shedding being implemented this week. On August 3, Eskom said South Africans should plan for the possibility of load shedding to take place any time until around September 2, as recovery teams started to get to work fixing damage the power utility says was caused by strikes over wage increases. As of 15:13 on Wednesday, the power utility had not implemented load shedding.